This highly upgraded Thousand Oaks single story is the home you've been waiting for! Beautiful oak and beveled glass entry door leads to a inviting living room with fireplace. The remodeled cooks kitchen has a huge center island with plenty of storage and room for friends and family to sit and chat or pitch in to help the chef. Beautiful dark wood cabinets, stainless steel appliances, volume ceiling , slab granite counters and dining area. Wood like tile floors throughout, living room and 3bedrooms have neutral carpet. Gorgeous hall bath with exquisite tile work. The home features four bedrooms with a central office/study area with skylight and added bookcases. The master suite has a spacious remodeled bath with glass enclosure and walk in closet. 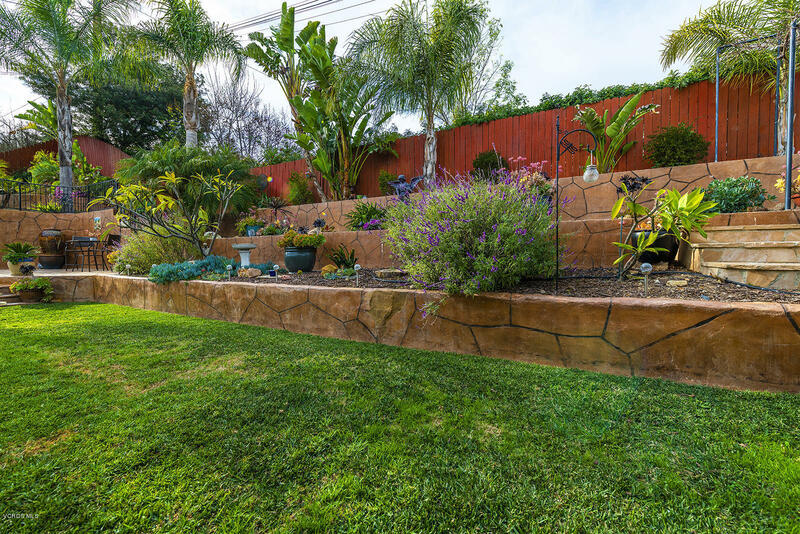 The custom backyard is an entertainer's delight! Covered patio and a beautifully landscaped stone terraced garden with raised garden beds. Other features include indoor laundry, RV access, added bonus/family room, recessed lighting, smooth ceilings, dual pane windows, and energy efficient solar. Lovingly maintained and is move in ready. Great Thousand Oaks location, convenient access to freeways, shopping, schools, and more. This one has it all!